Facebook Messenger for iOS has received a brand new update, which brings some major changes to the interface and also adds some much requested features. 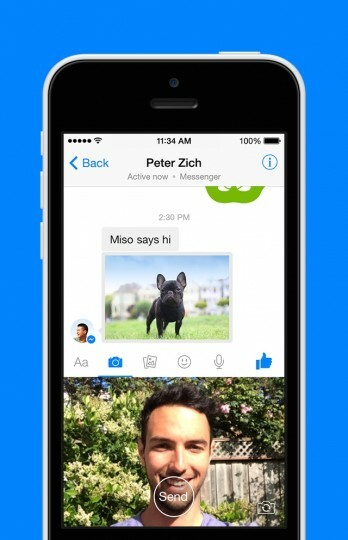 The new update to Facebook Messenger makes it a lot more easier to share stuff, thanks to the new interface. In the new interface, the options to take a photo to instantly share, choosing an image or video from the camera roll, selecting a sticker and recording a voice message are placed just below the text box. The update brings video sharing along with the ability to play videos inside the app. You can send any video you want right from your camera roll. The new update also makes it easier to get a sticker pack your friends use. You just need to press hold on a sticker to get the full sticker pack. Along with all that, there’s improved search and various fixes. The new update is available for iOS users and should come to Android later this week. We’ll let you know when the update hits the Google Play Store while iOS users can hit the link below and get the new Facebook Messenger update. Don’t forget to let us know how you like the new update..